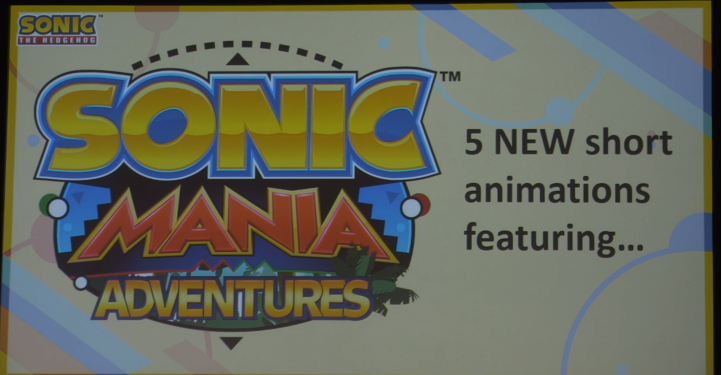 Sonic Mania Adventures, the web-only 5-part animated short series based on the game, will be debuting later today. This news comes from a tweet posted by Sonic Social Media Manager Aaron Webber. 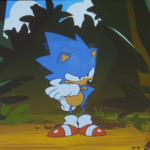 Webber confirmed that anyone who wants to catch the episode as soon as it debuts will be able to find it on both the Sonic the Hedgehog Youtube channel and Twitter page. We’ll be sure to update the front page with an embed of the episode as soon as it debuts! 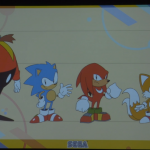 Live from SXSW, SEGA has revealed a new series of Sonic Mania-themed animated shorts. 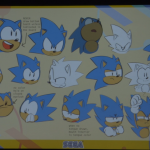 The series will comprise 5 episodes which will be shown on YouTube, created by the same team that created the Sonic Mania opening short, headed by the one-and-only Tyson Hesse, and soundtracked by Mania composer Tee Lopes. 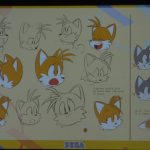 The short series will take place after Sonic Forces, and will cover what happened to classic Sonic after he returned to his world after the events of Sonic Forces. 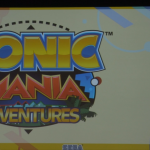 The first episode of Sonic Mania Adventures will debut in the next 30 days. Check out the array of concept art for the series shown at SXSW in the gallery below! 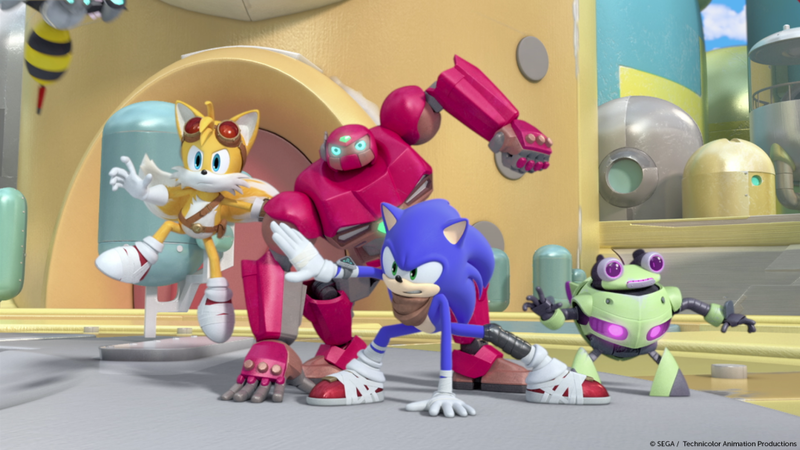 Sonic Boom Season 2 Arrives on Hulu This Sunday! Get your favourite breakfast cereal ready, because Sonic Boom Season 2 arrives on Hulu in America this Sunday! No more SD video off of Boomerang. No more scouring Youtube for clips because like a good chunk of Americans, you don’t HAVE Boomerang! Instead, you get Sonic Boom Season 2 in glorious HD the way it was meant to be seen. All 52 episodes will be available along with season 1 to give you a whopping 104 episodes of hilarious Sonic silliness! There’s currently no word on season 2 streaming availability in other countries (especially the UK which hasn’t even aired any of season 2 yet). We will keep you up to date if anything else is announced in the future. Sonic Talk 47: Sonic Mania is Runnin’ Wild! Well let me tell ya somethin’ brother!! I was at Venice beach pumpin’ iron when I heard someone listenin’ to a podcast! It had these three nerds, Jason, Alex and GX, all talking about that new Sonic game, Sonic Mania and heapin’ a bunch of praise on it! Jason was reviewing that new Sega game, Yakuza Kiwami and giving his hands on impressions about Mario + Rabbids: Kingdom Battle. They also talked a bunch about all the news on Sonic Forces and reviewed some of the latest episodes of Sonic Boom! Continue reading Sonic Talk 47: Sonic Mania is Runnin’ Wild! For European fans looking to catch up on the Sonic Boom cartoon, the wait may not be much longer. The May issue of Licencing World was published today, and it had some new information on SEGA’s plans for Boom this year. I’m sure many of my fellow thirty-somethings have breathed the same sigh of relief in that as we grow ever older, cartoons have not lost their appeal; I’d even go as far to say that we are in the midst of something of a cartoon renaissance – with multiple franchises successfully walking the line between children’s entertainment and veiled adult humour garnering cult followings. 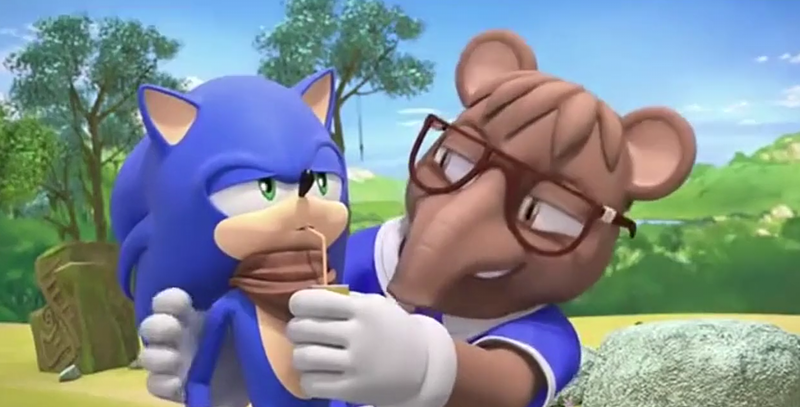 The success of these series is largely down to the creators knowing their audience, and for the writers of Sonic Boom, they have certainly done their homework. I have lost count of the number of references to the Sonic universe the show has now made, and it is wonderful that 75+ episodes in, the jokes and in-jokes show no sign of relenting. The series on the whole to date has been wonderfully self-aware, subtle enough that younger audiences can enjoy the action and slapstick, while purposefully cliché and self-referential to deliver a wink and a nudge to older audiences, or a comical reprieve for parents who probably have already had to endure unending hours of Peppa Pig. As the second season passes its mid-way mark, this week’s episode will introduce the first in a four-part story, Robots From The Sky (sung to the tune of a popular 80’s cartoon featuring metamorphosing machines, of course). 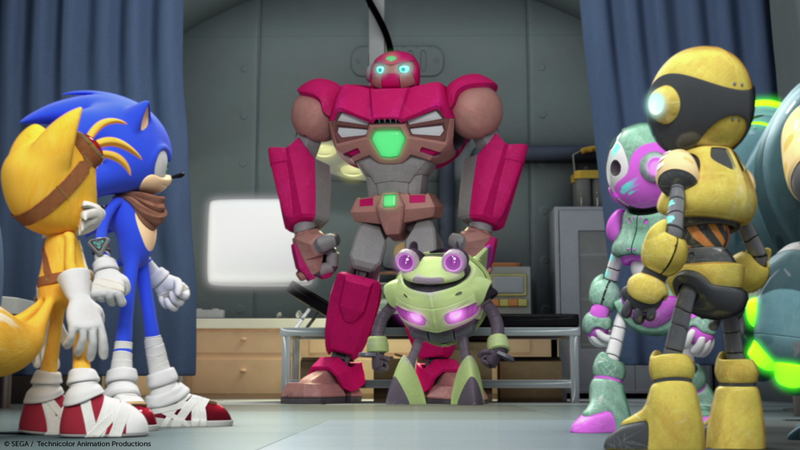 The episode introduces the characters Mighton and Bolt who feature throughout the arc, two sentient robots from a floating city who find themselves stranded on the ground after their ship crashes. In a case of mistaken motives, the two misconstrue Sonic and friends as antagonists following a bout with Eggman’s machines. The episodes each end on a cliffhanger, as the team investigate why robots all over the world have begun to turn evil, with events from the past resurfacing in a series of plot twists. Before I go on, SOME SPOILERS AHEAD! 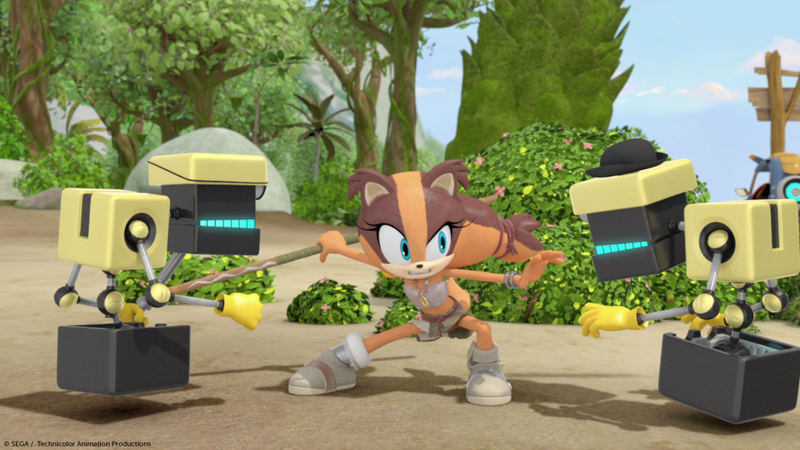 The quadrilogy is the first in the series with writing credit going to Sonic Boom producer Bill Freiberger (the voice of Comedy Chimp), alongside regulars Alan Denton and Greg Hahn, who once again find their stride in penning a compelling children’s story interspersed with moments of eye-rolling humour most will find themselves chuckling at (unlike Knuckles). Speaking of which, Travis Willingham continues to deliver on his portrayal of his wonderfully simple Knuckles (although I’m sure this is obfuscating stupidity) with fans cheering that seventy-plus episodes in, we get a “legs day” joke. Mike Pollock and Roger Craig Smith have created a wonderful on screen (or off-screen?) chemistry between Eggman and Sonic, to the point at which battles have become juxtaposed with casual conversation, both characters aware they are simply going through the motions. In a change of style, the story takes on a slightly more serious tone (but only slightly) as it begins to become clear that one of the heroes has inadvertently caused the current predicament. The first episode’s cliffhanger recovers with a deus ex machina deployed as another great comic device, once again nodding to the more senior audiences. This tone makes for a refreshing change of pace in comparison to the self-contained episodes, however fans of previous Sonic shows seeking more involved story arcs will likely find no satisfaction here. Some might have grown tired of the fight scenes by this stage; for this they might be forgiven, but again in context are necessary considering the show’s primary audience and the need to keep pace. Once again, the punctuation of satire should be what mature viewers focus their attention on. The final robot showdown sees an army of mechanical counterparts created with some albeit spurious science, but provides delightfully bizarre conclusion. The Sonic Boom TV show has successfully created own its personality and carved its own niche in the Sonic universe; it is pleasing to see the progression in its evolution that prevents the concept from going stale. For many, including myself, the show continues to be the highlight of the Sonic Boom franchise – and I hope it continues to provide entertainment, for young and old, for many more episodes to come. Robots From The Sky Part 1 is billed to air at 6pm ET on Saturday, 6th of May 2017 on Boomerang in the United States. The men and women behind the Sonic Boom TV show will be available to answer all your burning questions on Twitter today. They will be live tweeting at 6 p.m. eastern time, during this week’s episode, “Give Bees a Chance,” which was written by Cindy Robinson, the voice actor for Amy Rose. To send them a tweet, just use the hashtag “#AskSonicBoomCrew”. For a countdown timer and links to the twitter profiles of everyone participating, check out Mike Pollock’s website. Our first all video episode! Stare in despair at Jason’s fat mug and incredibly messy room! Delight at GX’s poor haircut and massive Wii/WiiU collection! Watch as……Alex is too shy to show his face, so he just appears as an icon of Vyse from Skies of Arcadia. Continue reading Sonic Talk 42: The End of Archie Sonic? Bear with us folks, we’ll work it out someday. A couple of bits of news that go hand in hand, and it seems to be good news for fans of the show! First up, SEGA have announced that Sonic Boom season 2 will officially premiere this Saturday, November 12th. It even comes with a nifty timeslot; 6pm ET. Not great news for fans of the show, I can say that much. After last week’s airing of season 2’s first episode, things have been a bit quiet about subsequent episodes. Now we have some official TV listings to shed light on the situation, and it’s a mixed bag. 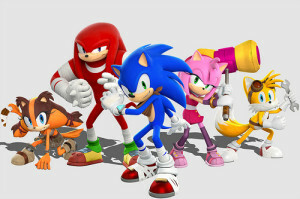 Sonic Boom premiered in November 2014 and wrapped up its first season a year later, and fans of the show are eagerly awaiting the day season two will premiere at some point this fall. Now, it turns out that they won’t have to wait for much longer, as a date has dropped by way of TV listings site Zap2It. 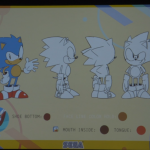 Toy manufacturer Tomy have revealed that the season two of the popular Sonic Boom cartoon is scheduled to launch Fall 2016. Every year, TV show people meet up in Cannes for the annual MIPCOM event, it’s basically a place where broadcasters go in order to secure the rights to show various TV shows around the world on various networks. Sonic Boom Might Get A Movie…? You know, I almost didn’t post this up here… the reason being is that this particular piece of PR is so poorly worded I have no idea if they’re talking about Sonic Boom or the normal Sega Sonic Universe. In an interview with Sonic Boom Fire & Ice producer Omar Woodley, he had a rather interesting thing to say with regards to the future of Sonic. When asked, is this new Sonic game represents the future of the franchise? Woodley states the following. However, due to the way this quote is worded, it’s difficult to tell if this means that Sonic Team will handle the legacy side of things and the west will handle things which tie into it such as a movie, or if it means that along with toys, merchandise and animation, that they are also looking into a potential movie deal for Boom. Does anyone want this? Let us know in the comments. Sonic Boom is finally coming to the UK on Monday, however some details are now emerging which some may find extremely disappointing. The first piece of news is that Boomerang UK is not a HD channel, nor does Boomerang have a HD channel. Meaning every episode of Sonic Boom in the UK will not be shown in HD, no 720p or 1080p for us, we have to make do with 4:3. The second bit of news comes from the Sky+ app, Sonic Boom is now appearing on the TV listings when searched, each episode is listed along with a brief plot and episode number. It’s the episode number which is now drawing some concern. 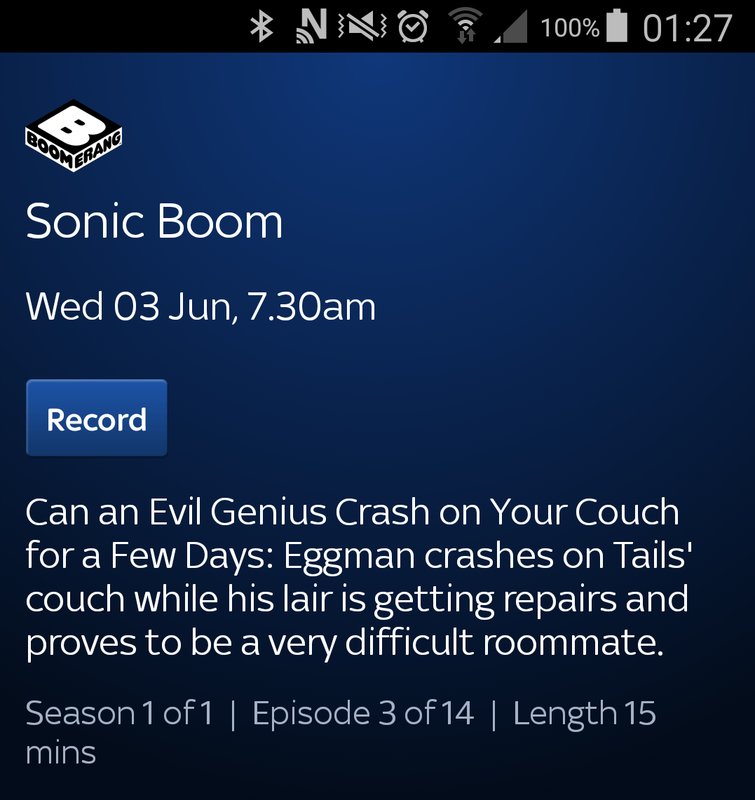 Based on the information from the Sky+ app, there are only 14 episodes in the UK’s Sonic Boom run. If this information is correct, given how Sonic Boom is being shown from Monday to Friday in the UK, Boom’s entire UK run will be over in 3 weeks. Whilst it’s possible that this might be an error, looking at a number of other shows on the app, their listings appear to be correct. Another possibility is that this is a series break, but after only 3 weeks this would be a strange move. We’ll keep you up to date if this information changes. Thanks to everyone on our forums who pieced this together. Despite there being no official announcement from Sega or Boomerang UK we finally have the date and most importantly, times for the UK’s showing of Sonic Boom. According to details found in numerous TV Guides, the times that Boom will be shown is as follows. So three times per day, every day on Boomerang UK starting from June 1st. Don’t forget to set your VCRs. Thanks to Nightwing on SSMB for the heads up. 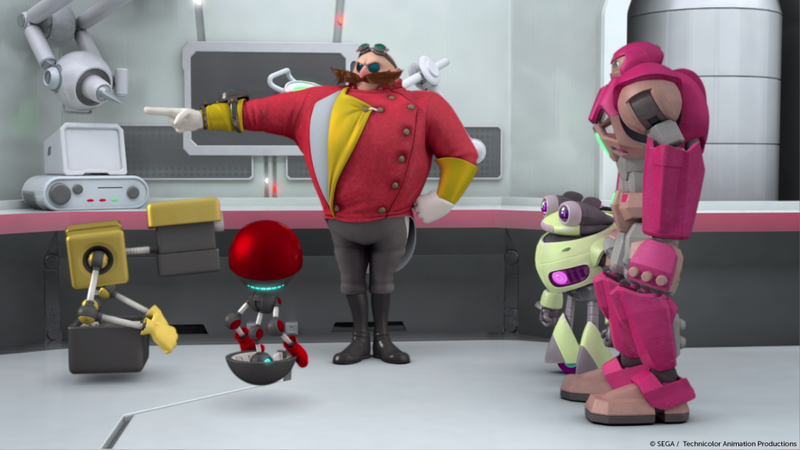 Sonic Boom to Air in The UK On June 1st! Well this is a surprise! 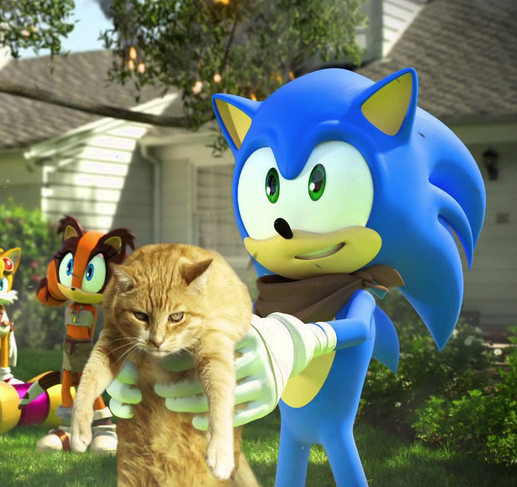 Sonic Boom has been quite the hit TV to audiences in the US and France since November of last year, however, when Sega said that Boom wouldn’t be coming to the UK until fall of 2015. Well looks like something has changed! 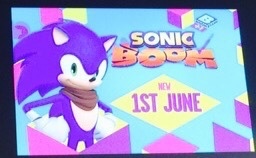 Multiple reports are from people living in the UK say that an advert has appeared on TV which shows Sonic Boom is coming to the UK on June 1st. Boom is going to be broadcast on the Boomerang UK channel, as of yet there is no timeslot or details as to how many episodes will be shown per slot. Keep checking TSS if more details come we’ll let you know. Thanks to Blue Paradox for the image. I think to have a proper mindset for the Sonic Boom cartoon, you have to first remember that this series is a spinoff FEATURING characters from the Sonic franchise, but not necessarily in the same tone as the regular video game series itself. Unlike all the other Sonic cartoons, it’s much less about action and adventure than it is more of a domestic situation comedy similar to the recent Looney Tunes show. There are many differences between this Sonic and the one we’re used to, but does the humor of the show pull it above it’s less adventurous storylines? Let’s a take a deep look into Sonic Boom and see what’s better about the new take on these characters and what simply doesn’t work. A new SEGA job advertisement for a ‘Director of TV Series Production and Distribution’ has appeared over at LinkedIn displaying a keen interest to continue work on the Sonic Boom TV series. Season one is already airing in parts of the world and this fresh job advertisement strongly suggests SEGA is planning season two. The ad also states that upon evaluation the company would maybe be willing to work on further seasons and what they describe as ‘other opportunities’. This person will act as project manager and coordinate/communicate with all parties ensuring the animation production and distribution is kept on track and the various parties are kept up to date with new developments as the TV series is in production. 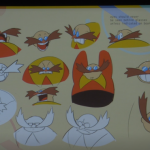 Help CCO of Sonic to evaluate business models for new opportunities/subsequent seasons of Sonic Boom with recommending continuity plan of Sonic Boom. 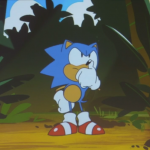 Despite planning further seasons, SEGA is still yet to give word on when fans outside of the US and France can expect season one to air in their countries. Would you like to see more seasons of Sonic Boom? Let us know in the comments. 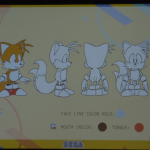 Unlike the original releases of Sonic X DVDs which all came in volumes of episodes, this single release looks to include all 78 episodes of the series, originally broadcast from 2003-2006. As implied by Diskotek’s Facebook post, no date has been decided for release yet, but one of the company’s employees also spoke about the upcoming release over on Sonic Retro’s message boards, where further information was brought to light. The user known as ‘Kushami’ has said that the license Diskotek currently has to produce the DVD is for the dubbed version only, although Diskotek is aware of the strong desire by fans for subtitled versions of the original Japanese episodes, and has emphasised that the idea of a second release with the subs could potentially be done, but is only likely if the response to this first DVD is strong enough. Other details included that in keeping with the licensor’s requests, the DVD will use the dub’s intro to the show (no Sonic Drive this time people… sorry! ), and that there isn’t likely to be much in this release in the way of extra features, but such extras may be considered for the mentioned possible re-release. A Blu-Ray release is also said to be unlikely, due to the fact that the original show has no high definition masters. Will you be ready to support this new release when it eventually rolls around? Would you buy in to better the chances of getting a subtitled version of the show produced? Let us know! Sonic Boom Season 2 Confirmed? 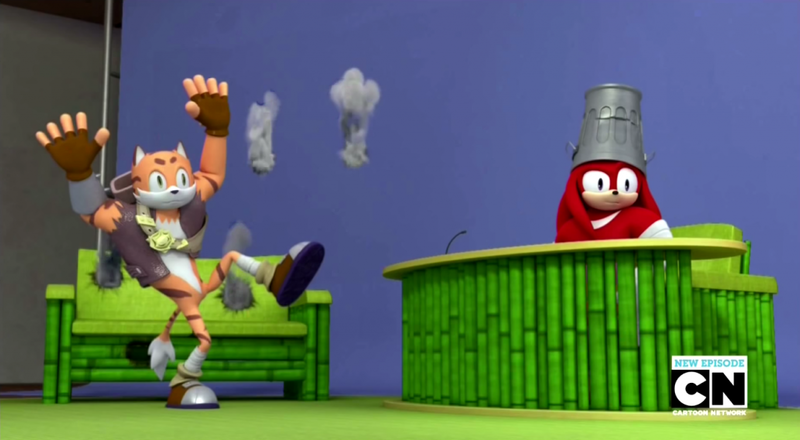 Cartoon Network has announced that Sonic Boom will be returning to the airways for their 2015-2016 programming schedule. In a press release which details programming intentions for 2015-2016, under the section ‘Returning Series’ Sonic Boom is one of the shows listed. Despite the poor reception of the game, Sonic Boom the TV show has been doing very well with audience numbers still high for it’s time slot and market appeal, if the information here is correct and the show has indeed been renewed, it’s potentially huge news for Boom as a brand. Unfortunately the press release isn’t completely clear as to if it means that it’s new content, or if they intend to reshow the first season into 2016. We’ll keep you upto date with more news as we get it. So if you’re looking forward to more episodes, you don’t have much longer to wait. 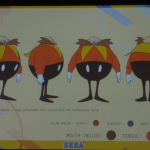 Does Eggman gotta have more Cow Bot? Stay tuned!